Thrash metal legends EXODUS are set to kick off their upcoming European headline tour on June 1st, 2015. The European dates kick off in Hamburg, Germany at Knust and end in Helinski, Finland on June 26th. The tour includes several festivals, including Sweden Rock Festival, Forta Rock Festival, Copenhell Festival, Metal Frenzy Festival, Graspop Metal Meeting, Hellfest Festival, and Tuska Open Air. 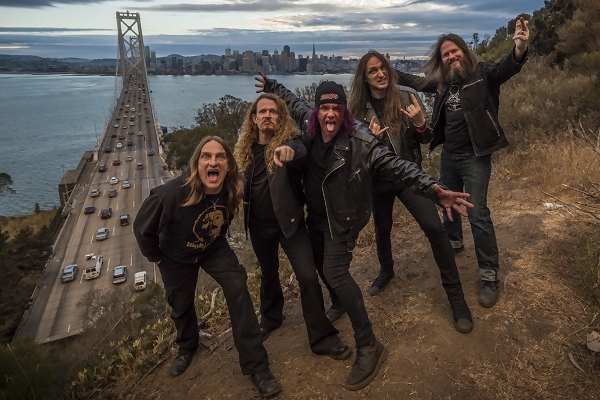 EXODUS just wrapped up a successful U.S. run with headliners TESTAMENT and special guests SHATTERED SUN, dubbed the Dark Roots of Thrash II tour. Later this year, EXODUS will take part in the Motörhead’s Motörboat Cruise, departing from Miami, FL on September 28th. Catch EXODUS in Europe this summer – see below for all dates.